Dark Star Orchestra, the nation’s premier Grateful Dead cover band, is bringing two nights of music to Black Mountain’s own Pisgah Brewing Company’s outdoor stage this Friday and Saturday. Comprised of several talented musicians armed with incredible flair and versatility, the band is ready to throw out any and all Grateful Dead music, from the 60s era all the way into the 90s with an uncanny resemblance to the Dead themselves. Located in Black Mountain, just a short distance outside of Asheville, North Carolina, Pisgah Brewing is quickly gaining notoriety as one of the best outdoor music venues in the region. With a serene mountain view and a large open field, Pisgah’s outdoor stage is sure to set the scene for a wonderful night of music. Even though the long, strange strip that is known as the Grateful Dead has officially come to an end, there is no reason that the celebration of the music must join it. 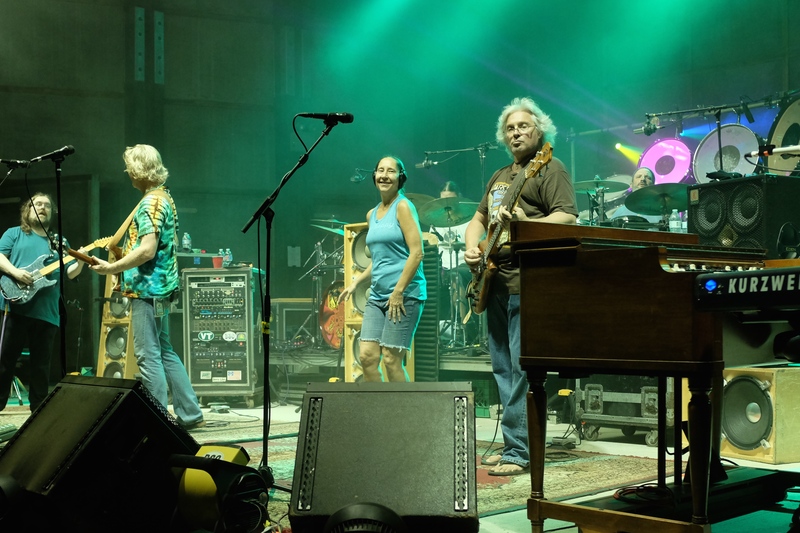 Striding off the energy of the Dead’s powerful Fare Thee Well tour and the 50th anniversary celebration, Dark Star Orchestra is sure to be riding high and playing strong to continue the commemoration. If that isn’t enough to set the stage for them, the shows are also in the week between the anniversaries of Jerry’s birth (8/1) and death (8/9), ensuring that these will be special shows for the band. Whether you are an old-head who saw hundreds of dead shows, a new-head who hasn’t had the opportunity to experience live Grateful Dead music, or anything in between, Dark Star Orchestra accompanied by the good vibes and great beer at Pisgah Brewing will be nothing shy of a wonderful time.